The islands are grouped in 26 natural atolls, ring-like coral formations enclosing a massive central lagoon, which gives the Maldives its unique paradise-like appearance. At Baros you will find service dedicated to the desires of each guest, architecture that celebrates and preserves the beauty of nature, and luxurious, intimate villas created with natural materials such as wood, stone and coconut thatch. 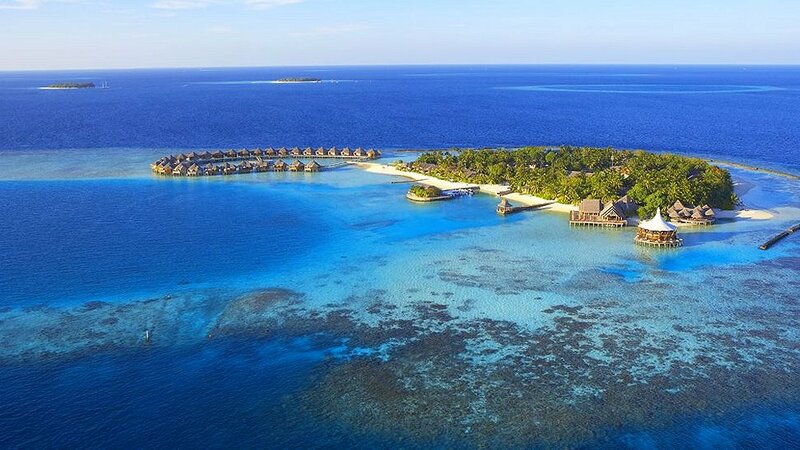 Baros was chosen to be a special resort because it was small, unspoilt and idyllically located in the centre of the atoll, with its own reef encircling a pristine lagoon and untouched sandy shores. To conserve the island's intrinsic beauty, the Maldivian family who leased it from the government and still operate it today, resolved to keep Baros pure. Accommodation at first consisted of 56 beds in round cabanas with conical-shaped palm thatched roofs and rough coral walls. There was no air-conditioning. By 1983 the resort had expanded to 100 beds but even then only some of the rooms were air-conditioned. Ten years later 12 wooden, thatched octagonal cottages built on columns over the lagoon were added. Because of the inherent hospitality of Maldivians, from its opening the resort gained a reputation for its friendly informality and caring, personalised service. Over four decades this has been enhanced with attention to detail, leading to Baros Maldives becoming the hallmark of top quality Maldivian holiday hospitality.